The Zodiac Z300 Heat Pump range is suitable for most domestic pools and feature models that have the ability to cool as well as heat your pool. It is Zodiac’s latest range of heat pumps and includes lots of user friendly features. 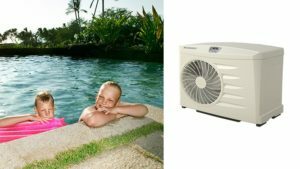 It is the best heating product for pools up to 70,000litres, in all climates across Australia, and has the potential to provide “all year round swimming” when used with a thermal blanket. *based on a warm humid climate with a thermal cover. Please seek expert advice to ensure you size the heat pump correctly for your requirements.